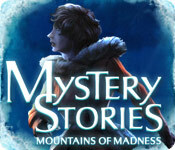 Mystery Stories: Mountains of Madness is rated 4.0 out of 5 by 107. Rated 5 out of 5 by jkcbd from Fun game Good Storyline I liked this game, it didn't have the usual "locked in a house" style of play being that it was in an outside setting with the caves and snow. I also didn't realize it was based on a book so it made the storyline different than the usual HO games. I played it on the difficult level and still found it fairly easy. I liked the hint in the corner which let you know what your current task was supposed to be. I wish it was a little longer but it came as a bonus game on a disc I got for Christmas so I'm definitely not complaining. It was my favorite game on the disc. Rated 5 out of 5 by ts1sds from Lovecraft Would Love This Game I read the Lovecraft novel that this game is based on many years ago, and I am very impressed. The graphics are beautiful, the music is haunting, and the story just pulls you in. I especially like the fact that you get to play two different characters as the tale progresses. Mini-games were interesting and just the right level of challenge. I hope we see more games based on H.P. Lovecraft novels in the future. Rated 5 out of 5 by Jem_Jerrica_Guy from Science Fiction graphics are a change from the medieval ones. For a non collector's edition, this was worth the money. Very staccato texture to the graphics. Rated 5 out of 5 by roesbud from It's been a long time Since I enjoyed everything about a game. Perfect for me in every way. Big plus was music. Just loved it. Rated 5 out of 5 by turkthesnake from Great DD! I actually came across this game a while ago and couldn't justify paying full price for it. By all accounts, it was shorter than most of this genre (true). Every now and then a daily deal comes along that you were actually hoping for, and this was mine. It lived up to all of my expectations. The story was enthralling. Towards the end you are switching between the two members of the expedition, which I expected to hate but which was actually kind of fun. You pull off a rescue on a team with yourself (who better? ;)) I found myself using the hint without even trying to figure things out (a rare thing for me) just so I could find out what happened next. The graphics were superb. For the most part, you are in an icy city built by a mysterious race. It was beautiful. Bonus, if your favorite color is blue (mine is!) Hidden Object Scenes were standard.There were a couple of times where you had to move a box or find another object on the list first before you could find a particular object. This happened rarely, though, maybe 5 times throughout the game. You revisit scenes and the previous HO's are not magically reappearing in the scene, which I like. You also often get multiple objects out of the HOS, which I really like (there is no "I just saw a wrench in the last 5 HOSs and now I need one, but I don't have one!"). There are achievements, but they are mute. They are basically markers for how far you have come in the story. If you finish the game, you get all the achievements. Nothing annoying about them, but the devs probably could have saved themselves a little time. They are rather pointless. All in all, yes, short, but they nailed it on every other point. Worth a try. Who knows, you might get too enthralled in the story to not finish it :). Rated 5 out of 5 by GrrlScientist from stunning mystery based on a real science fiction thriller how many of you dream of visiting antarctica? well, now you can! 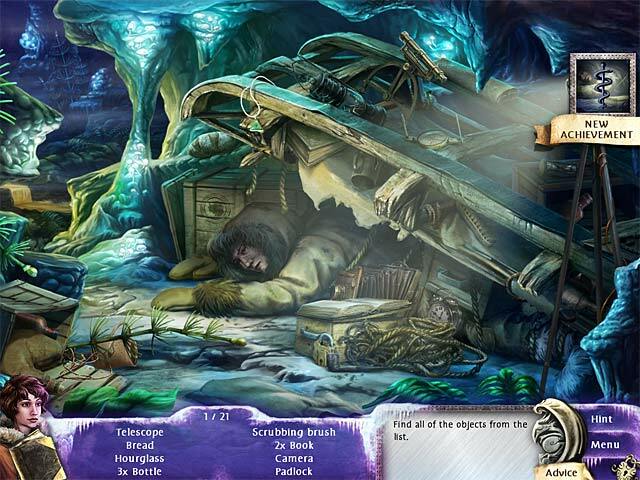 in this hidden object puzzle mystery, it is 1931, and you have just arrived in antarctica to investigate the unexplained deaths of an expedition of scientists. whilst you are there, one of your team disappears so now you, your other colleague and your dog must find him. during your search, you discover an ancient alien city in the mountains of antarctica. are the city’s inhabitants still alive? if so, are they connected to the dead expedition -- and to your missing colleague? if so, how? and why? and how can you recover your missing colleague before it is too late? graphics: lovely art, but nothing exceptional. hidden objects scenes were part of the story and most of the items pertained to the story or to the time period when the story takes place. the way that hidden objects simply disappeared when clicked on was creepy -- no sound, no sparkles, it was just "now you see it and now you ... don't" -- almost as if the object had never been there at all. interestingly, these found objects are not in the scene the second time you visit it. there was a variety of puzzles and they were reasonably easy but nevertheless, quite enjoyable. once again, these puzzles were integral parts of the story. music and sound effects: music was non-intrusive. the sound effects were good and set the mood nicely (it's summer here, but i put on my fleece whilst playing this game!) voiceovers at the beginning of each chapter provide context for the story whilst relevant dialogue is scripted during each chapter. game play: two modes of play: casual and expert. 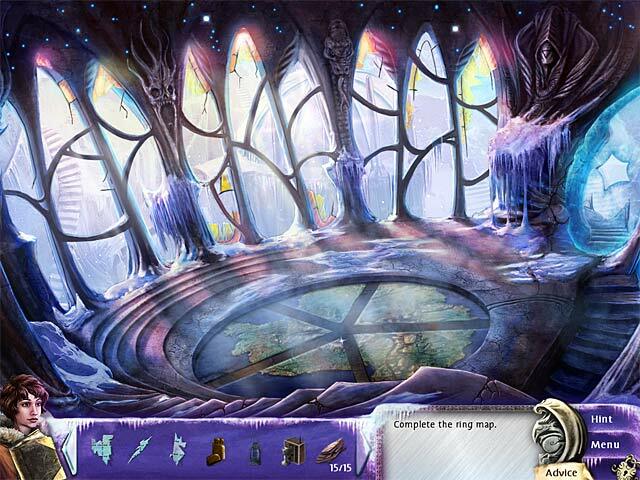 hints work only in hidden object scenes but you do not have to wait for them to recharge, and hidden objects scenes must be completed before you can leave. there is a skip button for all puzzles. goals are listed at the bottom of the screen and there is an advice button which acts like a strategy guide. achievements are awarded along the way. some scenes have a "scrolling" option that you can enabled during play, which provides a panoramic view that has a lot of depth. storyline: tense, creepy and quite believable. during demo mode, no monsters or ghosts or anything like that popped up, although there were a few dead bodies at the beginning of the game and some sort of unknown “monsters” were the story’s focus. my interaction: one hour demo, casual mode. i purchased the game. what makes this game special: unlike any other game i've played, objects that you removed from a scene the first time were not present the second time you worked the scene. also unlike any other game i've played, the circle puzzle pieces each had a rotate button so you could, with a click, fit them into the puzzle without having to use a special left- and right-clickable mouse -- YAY!! additionally, i’ve not yet played a game where there is a panoramic view for some scenes that can be turned on/off during gameplay. as a science fiction fan, i was pleasantly surprised at the quality of this video game -- it’s more of an interactive graphic novel than a game. although this is good family fun, it is possible that the kiddies may be disturbed by it because it is such a believable story. however, science fiction and horror fans will especially enjoy this game. now, off to finish the game and then to find and reread the novella that this game is based on! Rated 5 out of 5 by eggofthedead from Lovecraft Theme Holds True Gorgeous visual design but had to borrow a more powerful machine to run it. 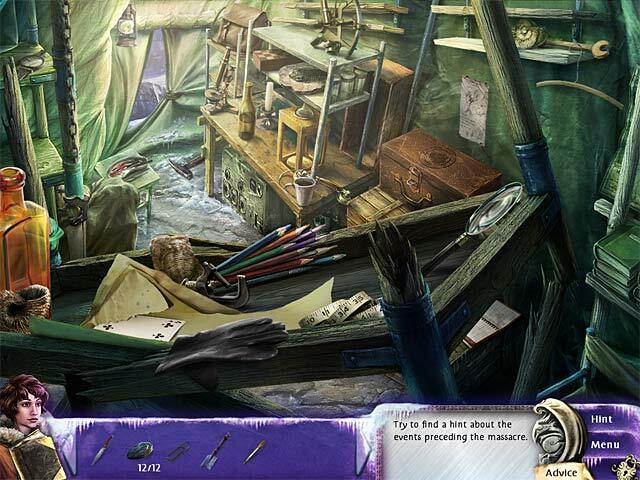 Good variety of hidden object scenes. Puzzles were relevant to scenario, but not so hard as to bog down gameplay. Especially enjoyed the surprise jumps between characters and game levels which mixed it up and forced me out of the usual linear march from beginning to end. Rated 5 out of 5 by magius74 from Great game with lots of Atmosfear! Fans of HP Lovecraft will appreciate this game for the great sense of atmosphere that has been brought over from the book. It really feels like you are searching through an alien and incomprehensible landscape with it's own rules. It reminds me of the old PC game Gateway 2 Homeworld. If you are not familiar with Lovecraft but interested in this game, do your self a favor and read At the Mountains of Madness and then check out this game, it will add much more to the experience. Besides, IMO, At the Mountains of Madness is probably the most approachable Lovecraft "Mythos" story and it's pretty short. You don't have to be a die hard Lovecraft fan to enjoy the book or this game. Rated 5 out of 5 by aleta59 from Short, but intense Not a long game, but really engrossing. A crew is sent out to find out what happened to the previous expedition members and is confronted by a supernatural being. Great graphics. No VOS. HOS clear and simple. Music is ok but a little edgy. Good storyline, exploring myths and trying to escape. You can scroll the screens, but I didnt care for that. I did get caught up in the escape and was saying: "go, go, go" without realizing it. Good for a daily game splash. My time: casual 31/2 hours.